The Panasonic Lumix 14-42mm f3.5-5.6 lens works perfectly and, as can be seen from the pictures, is in excellent condition. Olympus 14-42mm f3.5-5.6 EZ Lens in Black. The most compact electronic pancake zoom lens ( World' s shortest distance between the mount and the front end of the lens, when retracted as of Dec. 27, 2013). This lens has only been used occasionally and is in excellent condition. Olympus M.Zuiko 14-42mm Lens. Condition is Used. Dispatched with Royal Mail 1st Class. Selling an Olympus M.Zuiko Digital 14-42mm Lens which is in perfect condition - got this lens in December 2018. If you have any questions just let me know :) Happy bidding!! Olympus 14-42mm 3.5-5.6 lens for sale. Used but in excellent condition. OLYMPUS 14-42mm MICRO FOUR THIRDS EZ LENS. For sale is a panasonic 14-42mm pancake lens - one of the most portable lens options in the range, has optical stabilization and has a power zoom feature which enables steadier zooming compared to manual if you're planning using this for filming. Serial number 776 recorded and photographed for security. Collection is not possible, sorry. This is the rarer black version. Honesty is the best policy. Olympus 14-42mm f3.5-5.6 EZ Lens in Silver. The most compact electronic pancake zoom lens ( World' s shortest distance between the mount and the front end of the lens, when retracted as of Dec. 27, 2013). Olympus M.Zuiko Digital 14-42mm f/3.5-5.6 II R Lens, excellent condition. Olympus M.Zuiko 14-42mm EZ Lens. Works fine though sometimes feels a bit slow to zoom, I upgraded to the pro lens. No scratches or mould. Sorry about the bad photos - can update if needed. Condition is Used. Dispatched with Royal Mail 1st Class. Panasonic Lumix G Vario 14-42mm f/3.5-5.6 II ASPH. Panasonic Lumix G Vario 14-42mm II ASPH. Featuring a slim, lightweight design, thePanasonic Lumix G Vario 14-42mm f/3.5-5.6 II ASPH. Panasonic Lumix G Vario 14-42mm F/2.5-5.6 II Overview. I got this with a kit but have not used it for a while. Has some marks on the outside but still takes great photos. Happy bidding. Black Panasonic Lumix ZOOM lens 14-42mm with lens hood. Here we have one Olympus 14-42 Micro 4/3 lens as per title. This version of the lens is further improved (especially for video) being the MSC R Version. The lens is in immaculate and as new throughout and produces excellent images and video. Panasonic G Vario 14-42mm F/3.5-5.6 Mega O.I.S Aspherical AF Lens micro 4/3rds. With Jessops UV filter, caps and tulip. In excellent condition hardly used. Fits Lumix G micro 4/3 system and compatible brands. Mint condition being filtered from new, in silver. Olympus M.ZUIKO 14-42mm EZ Very Good Condition - 8 The lens works as it should and the lens is in great condition. The body shows signs of use and has no rear cap. Grab a bargain. Olympus Digital Zoom 14-42mm. Bought in error (not micro four thirds). Sold as seen in photo. available UK only. Olympus 14-42mm M.Zuiko 1:3.5-5.6 (Micro Four Thirds) Lens with serial number: AAH220622. DIGITAL 14-42mm f3.5-5.6 EZ Lens - Black. - DIGITAL 14-42mm f3.5-5.6 EZ Lens - Black. - Micro Four Thirds Mount. f/ 22 (W) - f/ 22 (T). 14 mm - 42 mm. Filter size Minimum focus Auto focus. Sigma 90mm f2.8 AF Macro Lens. Nikon Mount. Lens hood. Fantastic lens with great image quality. Serial number 144 recorded and photographed. The item is in superb condition throughout with immaculate, dust-free optics. Honesty is the best policy. Serial number 027 recorded and photographed. Honesty is the best policy. Here we have one lens as per title. This 14-42mm (28-84mm - 35mm equivalant) lens has hardly been used and is in excellent condition. Overall length: 49mm. Panasonic 14-42mm Lens with serial number: SA1HH006370. Micro Four Thirds. Olympus M.ZUIKO 14-42mm EZ Very Good Condition - 8 The lens works as it should and the lens is in great condition. The body does have a graze on one side and is demonstrated in the pictures. Grab a bargain. Very good condition Panasonic lumix g vario 14-42mm mkII lens, small mark on the body of the lens. Olympus M.Zuiko EZ-M1442-2 14-42mm f/3.5-5.6 II Lens. 35mm equivalent focal length: 28-84mm. Condition is Used. Dispatched with Royal Mail 2nd Class. Used- some signs of wear and tear however the lens is in good working order. Panasonic 14-42mm F/3.5-5.6 Power Zoom Lens for sale. Lens is in excellent condition with immaculate and dust-free optics. 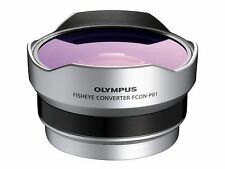 Wonderful Lens from Olympus to fit Four Thirds (Not Micro). Clean Barrel. Smooth Focus and Zoom. Clean Optics. Full Working Order. Front Cap & Hood. Here we have for sale one Panasonic 14-42mm Power Zoom lens. The item is in near new condition throughout with immaculate, dust-free optics. Honesty is the best policy. Collection is not possible, sorry. Ultra-slim, superb optics and with the full focal length range of a standard zoom lens - another revolution from Olympus! Available in a choice of black or silver. Olympus 14-42mm Lens. Mount type Micro 4/3. Here we have for sale one Panasonic 14-42mm Power Zoom lens. The item is in unmarked condition throughout with immaculate, dust-free optics. Honesty is the best policy. Collection is not possible, sorry. Panasonic 14-42mm f/3.5-5.6 ASPH G Vario Zoom ASPH lens, silver, MINT condition. MINT Totally unmarked. MINT- Almost unmarked, only very tiny rubs. Serial number TA5JK008480. All functions operate correctly. Will also fit Olympus bodies. In good condition. No marks on lens surface. OLY MPUS 14-42MM POWER ZOOM LENS FOR SALE. Like new condition with immaculate dust-free optics. Olympus 14-42mm f3.5-5.6 II R MSC lens for sale. Fits Micro 4/3 bodies. Excellent condition with dust-free optics. This used Olympus M Zuiko 14-42mm f3.5-5.6 ED lens is inExcellent condition. Lumix G Vario. Clean Inside. In Very Good Condition.